It’s the weekend!! I am so excited to enjoy a weekend away in New York. One of my favorite things about road trips are the snacks! 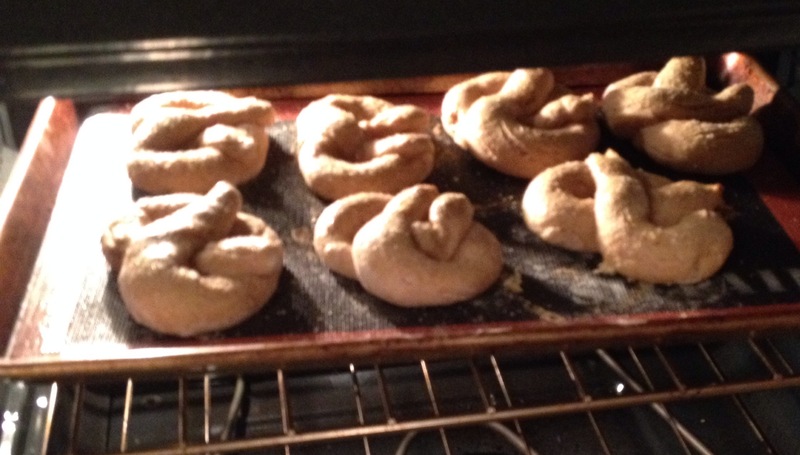 This foodie Friday post is dedicated to an awesome comfort food snack, soft pretzels! 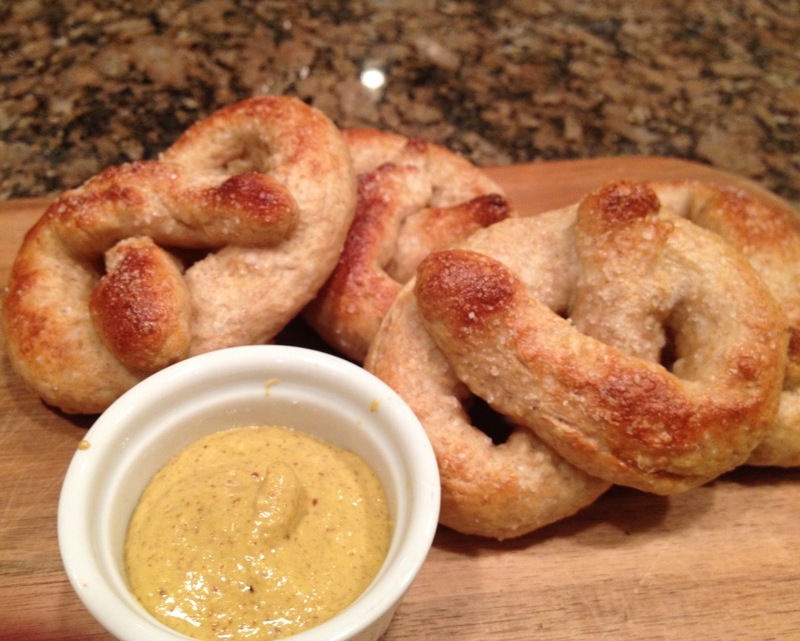 These honey wheat soft pretzels are incredibly easy to make and totally to die for delicious! Preheat the oven to 425°. Add packet of yeast to warm water and briefly stir. Mix in the honey and salt, and allow to sit for a minute. One at a time, add the cups of whole wheat flour and mix in using a wooden spoon. Continue to add flour until the mixture is no longer sticky, then transfer to a floured surface. Knead the dough for a few minutes until you’re able to form into a ball. Cut the dough into four equal parts and begin to roll out pretzels. Dip each pretzel in the egg wash before placing on the baking sheet and sprinkling with coarse salt. Bake for 10 to 15 minutes, or until golden brown. These are fabulous right out of the oven or at room temperature! Dip in some mustard, cut in half and use as a mini sandwich, or enjoy just as they are! These soft pretzels are not only healthier than your average, they’re incredibly versatile and make the perfect on the go snack! Have a wonderfully delicious weekend! 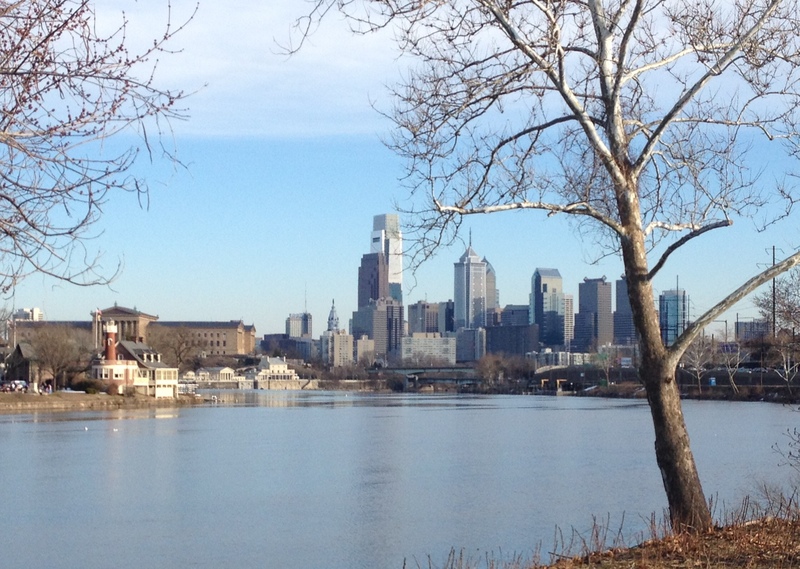 It’s almost the weekend and the weather in Philadelphia is finally turning around! Phil and I will be heading to visit my girlfriend from college tomorrow and celebrating St. Patty’s Day as only Rockaway New York knows how! For the record, we are ALL fully aware St. Patty’s Day isn’t until the 17th! 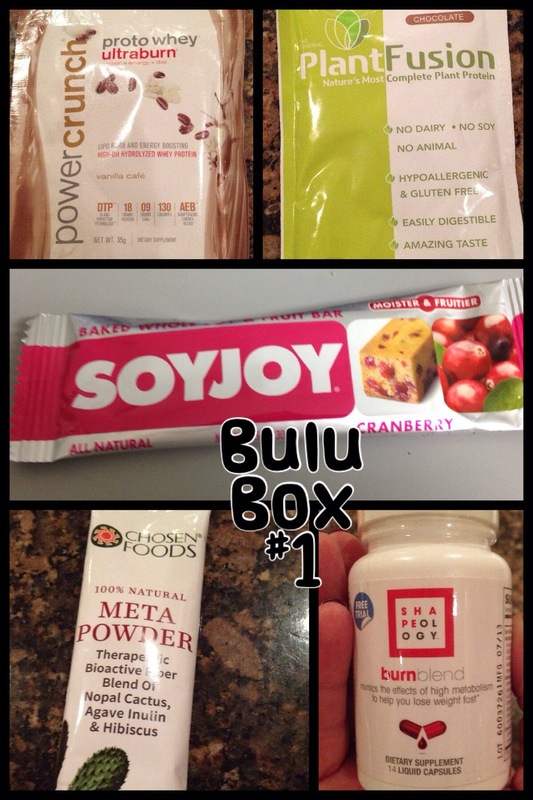 AnYwAy, I was so excited about all the samples from my bulu box, I’ve tried them all already! Out of the 5 samples provided I ordered 2, which I think is pretty good! As promised, I did a quick review of each of the products below. Since everyone’s body is different, I encourage you to try something yourself if you’re curious, but I feel strongly that we all learn from each other, so maybe one of these products will spark someone’s interest. While I was really excited about the vanilla cafe flavor, and it dissolved really well in water, I didn’t think I would be a big fan of the added energy enhancers and metabolic boosters. To be quite fair, I didn’t notice too much of a boost or buzz from the caffeine & taurine. I liked the fact I wasn’t starving by the time I made it home from coaching too… I imagine before a work out this would be awesome! I need to research all the ingredients…it looks natural but you can never be too sure! All and all, worth looking into for pre-work out nutrition . I am usually not a huge chocolate protein fan but I enjoyed this after my workout! 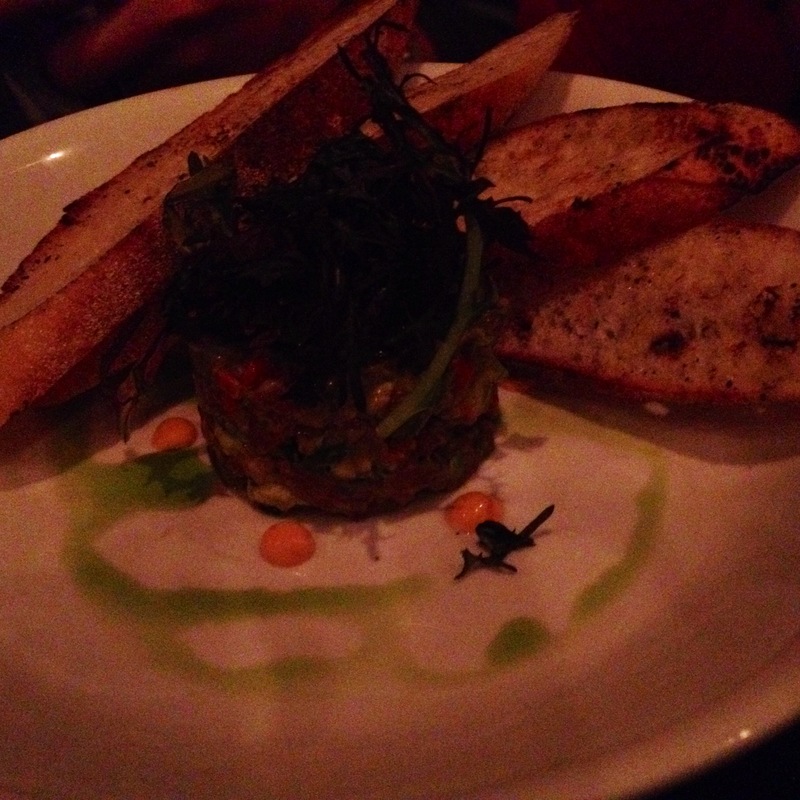 It totally refueled my body and kept me feeling satisfied until dinner which was hours later. While the protein didn’t fully dissolve, the flavor was still delicious and I felt good about what I was putting in my body. I have a lot of protein powder at my place right now, but if I didn’t I would totally buy this full size product, loved it! This was probably the least satisfying sample in the box. The bar was the size of a steak fry and it was dry. Since there is little protein for the amount of sugar, its totally not worth it. I expected I would like it, as this was the one brand I was most familiar with in the whole box, but I guess it goes to show you never really know until you try! This is one of the two products I purchased through the website. I was really happy with the favor, even though the powder didn’t fully dissolve into the water. I felt as though it gave me a boost during the end of my work out and really helped with my recovery. As an added bonus, I felt fuller sooner when dinnertime came so I didn’t over eat. The product is a little pricey for something I would use every day, but I’m going to give it a try and see if it’s worth the cost. I ended up ordering a bottle of this and will admit it was the product I was most skeptical about trying. After reading the label thoroughly researching a few ingredients I wasn’t familiar with, I felt comfortable enough to give it a try. The first two days I took two, doing as the bottle recommended and taking one in the morning and one in the afternoon. This was way too much for me, so I have been taking one in the morning with my vitamins and I’m really enjoying the results. I recently switched my multivitamin pack and the energy supplement I previously had each morning is not in the new pack. This is a nice replacement and I feel like it gives my work outs a boost. On the whole my first bulu box experience was a success! Through the ordering process the customer service staff was helpful in addressing my questions, and whats really cool is if you review the products on the site, you earn points towards future orders. Just by reviewing the five samples I received I earned 50 points, enough for $5 my next order! It doesn’t have to be bulu box, but I invite you to step outside your box and try something new!! What have you been doing or trying differently these days that you’re really enjoying? I’d love to hear about it! The snow continues here, only a few inches thankfully, but I wont let it get me down! In a few days I will be visiting one of my college besties in New York for her town’s St. Patty’s Day celebration! While we both keep crazy schedules, we always make time to visit each other a few times a year and the Rockaway St. Patty’s Day parade has been one of those occasions for many years! In other efforts to keep the snow from bringing me down I have been trying to make comforting evening meals that taste indulgent but are totally healthy! 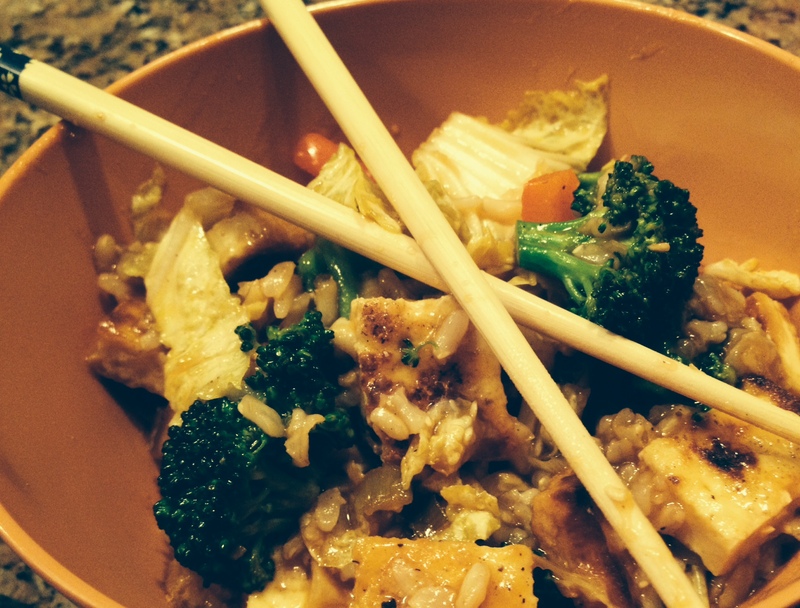 This Asian stir-fry is one such comfort food I can’t live without – and neither can Phil! I have been making variations of this forever, but thanks to the Rocco Dispirito’s Now Eat This Book, I have taken all my Asian dishes to a whole other level while still keeping it guilt free! * Cook brown rice as instructed on package (1cup rice 2cup water boil/cover for 20-30 minutes). Drain and dry tofu, slice into cubes and bake in oven @ 400 for 10-15 minutes, rotating every few minutes. As tofu cooks, heat non-stick pan to medium and add sesame oil. Add shallots and garlic to the pan first, followed by all the vegetables except the cabbage. Cook veggies until tender, add cabbage, rice, sauce and tofu. The dish, sauce and all, takes about 35 minutes and is AMAZING as leftovers! Nothing like a little comfort food to carry you over the mid-week hump..enjoy! While the weather has taken a turn back to chilly (below freezing and flurrying) I am keeping a smile on my face! The taste of spring-like temperatures this weekend will hopefully carry my through these few chilly days! In keeping with my self-care theme from yesterday, I treated myself to a massage! Many may remember my office’s ‘hump day’ celebrations. We’ve done everything from dance parties, to black jack, to pizza and a show and even chair massages! A few weeks ago Hand and Stone Massage came to our office and did 10minute chair massages for everyone in the office as our ‘hump day’ activity. I have always been a fan of the therapeutic and relaxation benefits of massage therapy and try to go a few times a year, so I was thrilled to have someone relieve some of the tension, even if just for a little while. After my massage they let me know about a program they offer called the “Lifestyle Program.” You pay a monthly fee for one free massage or facial a month plus membership discounts on all other space services. While I have always been a loyal patron of the same holistic day spa in historic Old City Philadelphia, Di Terma Aroma, I figured there was no harm in trying something new, especially for the price. Yesterday was my first full massage with H&S and I was thoroughly impressed. I opted for the sports massage after my long ride Sunday and my therapist was extremely knowledgeable and talented. The facility was clean, calm and tranquil, and the staff was warm and friendly…I am definitely excited about my choice to join their program! The benefits of massage therapy are endless and I recommend everyone take the time for some release! Its official folks, diving season is over!! Whew! While I love my divers, the stress of coaching two sports in addition to my full time just was really starting to get to me! All I have to focus on now is my swimmers and their big meet coming up in a few weekends! Even though I spent most of my weekend on a pool deck, I did manage to sneak in a long ride late afternoon Sunday! The weather was in the 50s and sunny – I was in heaven! 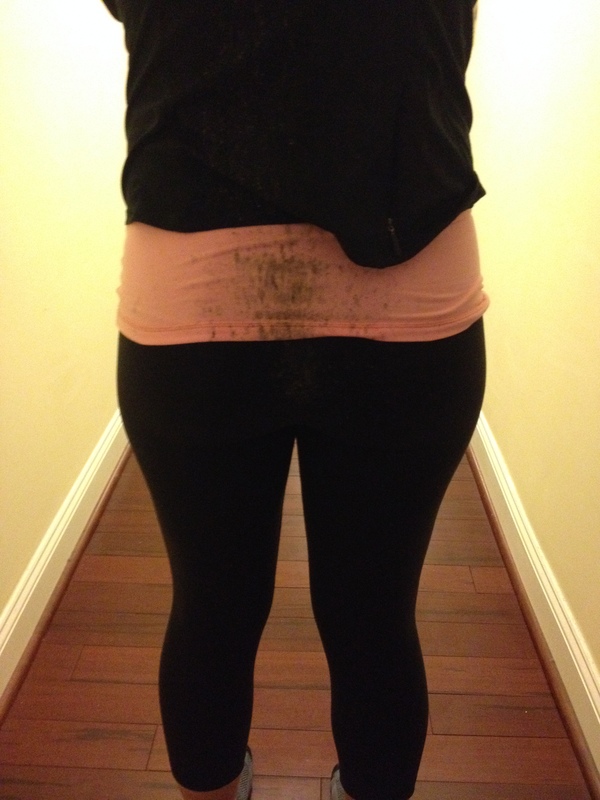 However, with all the snow melting, it wasn’t exactly the cleanest ride I have ever been on! I also managed to squeeze in a fun girls night for my cousins Birthday! It wasn’t quite as tropical as our celebration for her 40th last year, but we had an amazing dinner at Pennsylvania6 in center city Philadelphia! We were all a bit hungry when we sat down, so the delicious oysters and white bean dip we had for appetizers were devoured before I could snap a photo! This bi-level, dimly lit hot spot focuses on creative smaller plates while still keeping a casual/homey feel to many of their dishes! 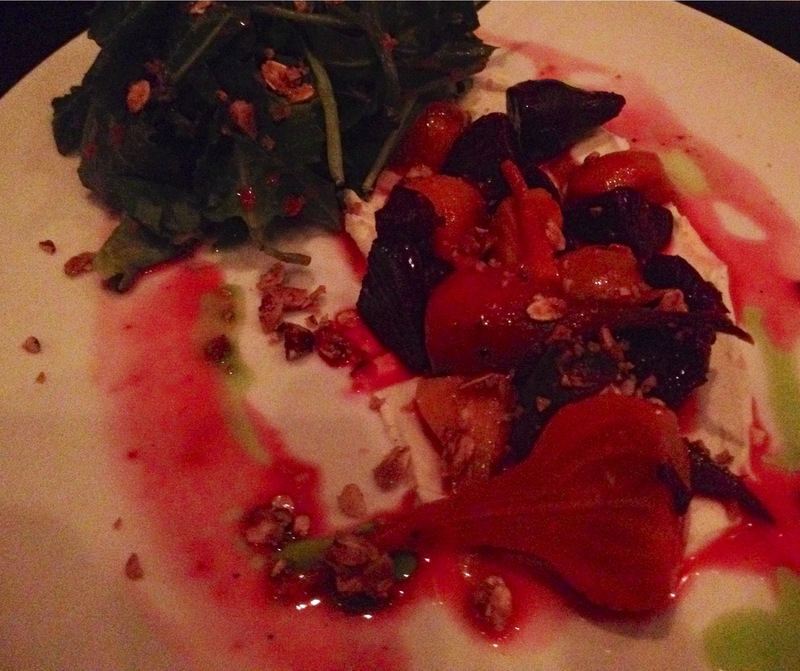 I had yellowfin tar-tar and baby beet salad as my dinner and it was divine – if you’re ever in Philadelphia, its a must try!! Even though life gets busy, its always important to make time for self care! Whether it be a bike ride, a bite with friends or just some quiet time to decompress, its always important to do things for YOU! It’s the weekend and it’s time to indulge! 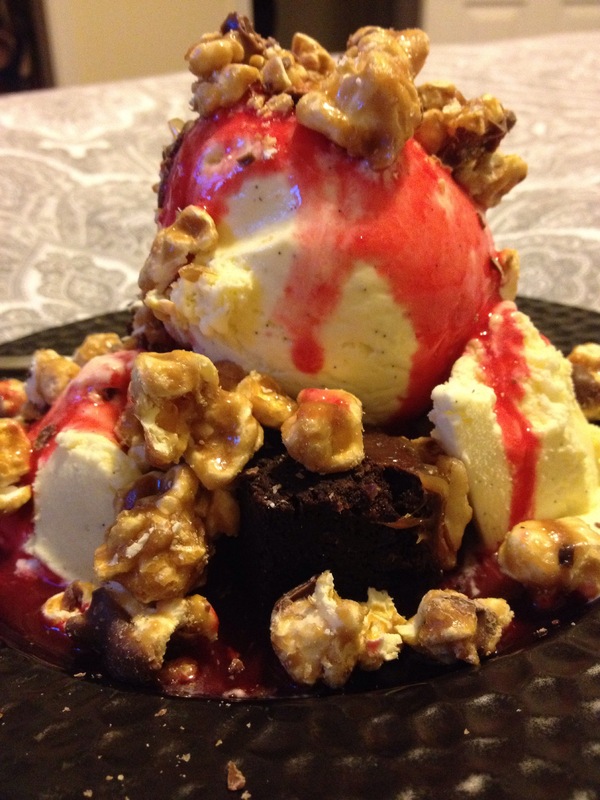 For me, nothing says ‘something sweet’ more than ice cream sundaes! tried nearly every one, my favorite has always been vanilla. I’m thrilled to have finally had the chance to make some of my own thanks to my incredible boyfriend! Phil bought me the ice cream attachment for my Kitchenaid as a Valentine’s Day present and I thought it only fitting I spin some right away. In a nonstick sauce pan mix together 1c light cream, the half & half, a pinch of salt, and the sugar over med/low heat until sugar is fully dissolved. Add inside of vanilla bean (save shell) as well as extract and cover off heat for 10-15 minutes. Add egg yolks to infused milk mixture over med/high heat and mix together continuously until mixture reaches 175 degrees. Use strainer to pour custard into remaining 1c. light cream and continue to stir together while transferring to an ice bath. Once custard reaches a lower temp. transfer to the refrigerator and allow to cool thoroughly. 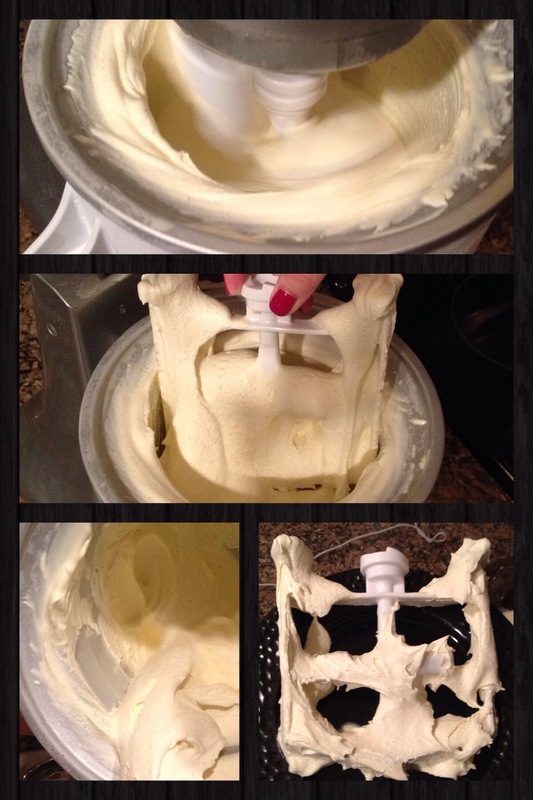 Once mixture is chilled pour into ice cream maker and beat on med/low for 20 minutes. Turn to high for another 5 minutes, transfer ice cream to freezer safe container and set for at LEAST an hour, preferably overnight. This richly indulgent ice cream is the perfect replacement for my childhood favorite and doesn’t require multiple modes of transportation and several hours. 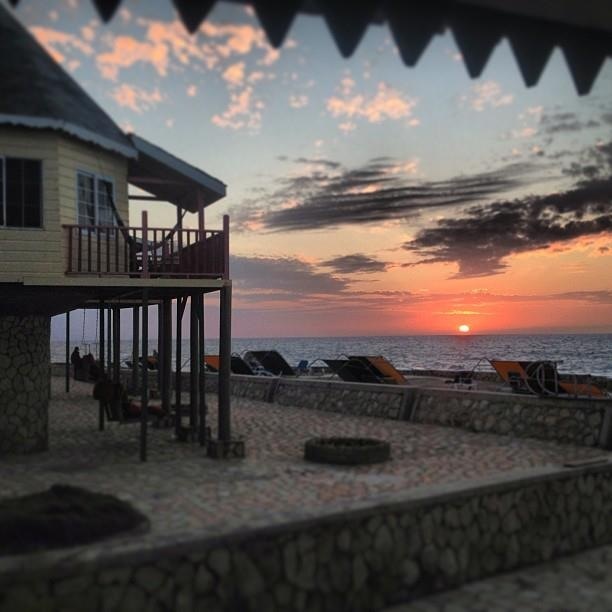 It’s the weekends people – INDULGE! I feel particularly blessed today! The sun is finally shining, temps. are up to 46 (I NEVER thought that would bring me such a thrill), and I had a lovely lunch with the ever inspiring Kristin Ritter of Nourishing Storm. While we aren’t able to get together nearly as much as we’d like, it feels like no time has passed every time we do. I feel as though we could spend hours talking in circles about life, love and the journey we’re each on but alas, I can only take an hour for lunch! 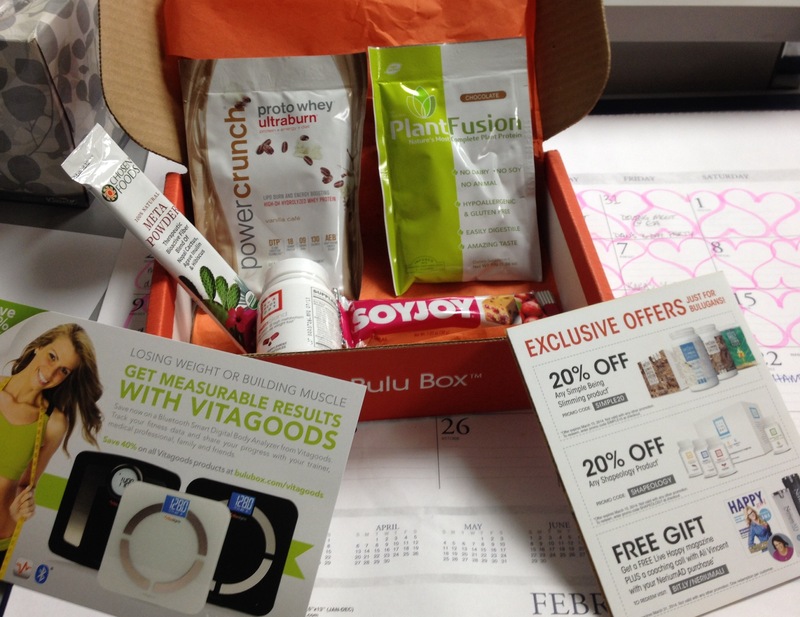 In other exciting news, my first bulu box came today!!! I came across this site randomly during my typical health and wellness searches online and was intrigued by the premise. There are a ton of similar companies, but for the price I thought I would give it a try. Plus, I am familiar with a lot of their affiliated brands/spokes people, so I felt comfortable enough to give it a whirl. Each month I will receive a few different wellness samples and coupons for purchasing full size versions of the products I like. As I use each of the products, I will post my feedback in the hopes to inspire all you other wellness fanatics out there to mix it up! I don’t know about anyone else but I find myself getting into a routine with the same products when there is a whole world of wellness to enjoy! 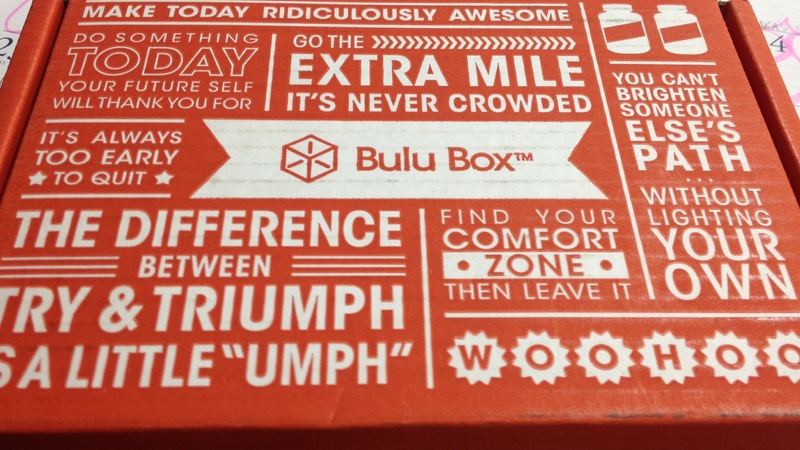 Has anyone else tried bulu box before or something similar? How did you find your experience? Stay well & Happy Thursday!